3 Reasons Pellet Therapy is the Best Choice in Hormone Therapy - Doctor Hermann M.D.,P.A. Your hormones will fluctuate as you get older, and unfortunately there is no way to avoid it. Diminishing testosterone levels in particular can leave you feeling like a shell of your former self. You may not have the energy, drive, motivation, or endurance to enjoy the activities you once took for granted. While this is a frustrating and often embarrassing problem, your testosterone imbalance can actually be easily solved! Hormone therapy using tiny pellets under the skin is by far the most efficient method to restore your vitality. Hormone pellets are no bigger than a Tic Tac! One tiny pellet contains a customized dosage of testosterone. That pellet is inserted into an area around your upper hip. You barely feel anything during the insertion process since it is completed under local anesthesia. Once it is situated in your body, the pellet delivers a consistent and healthy level of hormones every day. You don’t need to remember to take a pill or apply a cream, because the invisible pellet does all the work! You just get to focus on living a better and more rewarding life. The last thing you want to do is spend the time, money, and energy on hormone therapy, only to have it deliver questionable results. Since pellet therapy provides a constant, low-level stream of testosterone, you can trust that your results will be consistent. 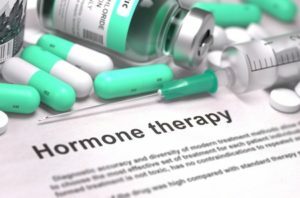 You will not have to suffer through the fluctuations that patients using other hormone therapy methods may endure. Best of all, you might notice results in as quickly as one or two days! Your muscle mass and bone density will increase, your fatty tissue will decrease as you lose weight, and you’ll notice improvements in your physical performance. Many patients also report enhanced concentration and memory, better sexual health, and much more energy. Pellet therapy does not share the same safety concerns as other hormone treatments. Creams, for example, have the ability to rub off on your partner or children and cause them significant harm. Pills, meanwhile, can easily get into the wrong hands. Pellet therapy is different because it is securely located in your own body, without the potential to threaten the health of anyone around you. Furthermore, pellets do not increase the risk of blood clots like conventional or synthetic hormone replacement therapy! Hermann Wellness offers men throughout Tampa, St. Petersburg, and beyond with skilled and customized pellet therapy services. If you are ready to regain your sense of self and feel younger and more energized, then call (813) 902-9559 to schedule a consultation with Dr. Anne Hermann. Which Juvederm Filler Do You Need?